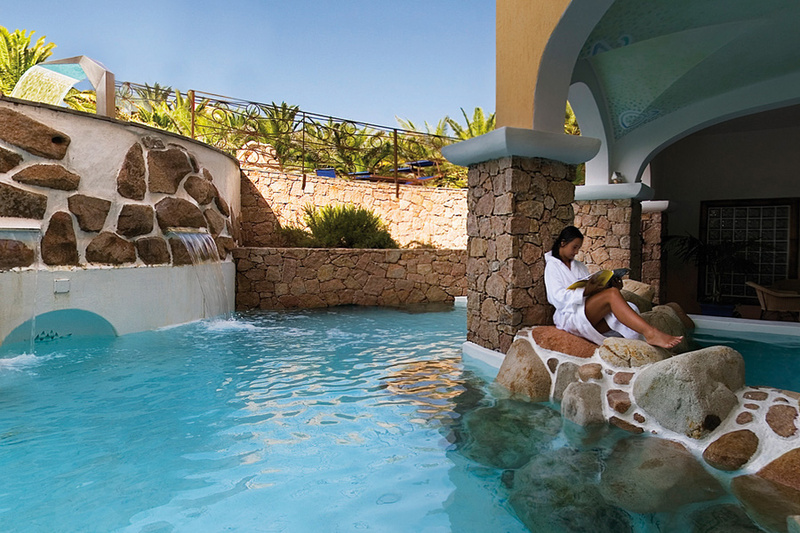 The “Venere” Thalasso Wellness Centre & SPA is the oasis of relaxation and wellness at the Hotel Torreruja, a romantic 4 star Superior hotel in the North of Sardinia at Isola Rossa. Now it’s time to spoil yourselves. 1200 m2 available for you to tone up the body and rediscover physical and mental wellbeing. 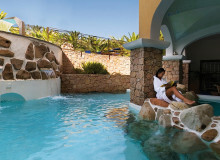 An elegant and exclusive wellness centre with Thalassotherapy, ideal for your holiday in Sardinia. 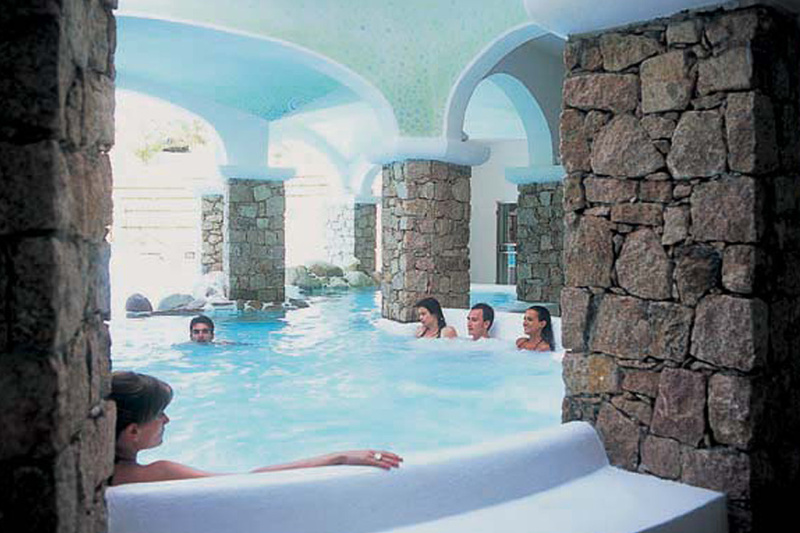 For romantic moments of pure relaxation there is an elegant chalet for massages together and a freshwater Jacuzzi. 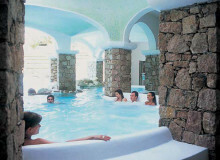 Among the treatments on offer at the “Venere” Thalasso Centre & Spa there is a special chalet featuring a Siestè tub, a sensorial hydrotherapy treatment using hot sea water which makes use of a relaxing massage in order to restore harmony to the body and soul which starts with a relaxing massage. 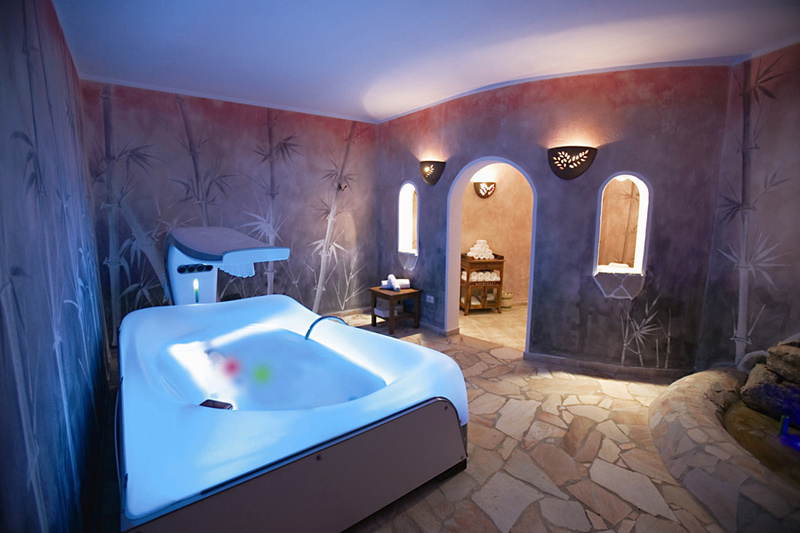 In addition there is a chalet equipped with SPA-Jet: a multi- sensory system that includes Hydro-massage, vibromassage, aromatherapy, musicotherapy and Chromotherapy. 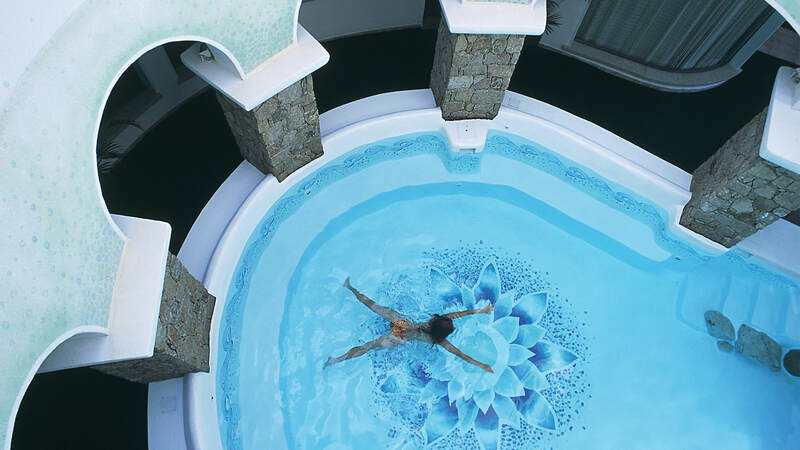 Discover all the wellness programmes and à la carte treatments at the “Venere” Thalasso Centre & Spa and let yourself be pampered by our expert staff. The wellness programmes already include an average discount of between 10 and 25% depending on the number of treatments suggested. The Wellness Centre is open 6 days a week during the afternoons. Access is for adults only or young people from the age of 14 and over if accompanied by their parents or with written authorization from the same. For mothers-to-be specific packages are recommended which do not include certain treatments.